GERMANY: Siemens has signed a three-year charter agreement with DBB Jack-Up Services for a jack-up maintenance vessel. The German turbine manufacturer will use the new 'Wind Server' vessel currently under construction in Wismar, Germany. It is due to be operational by 2016. 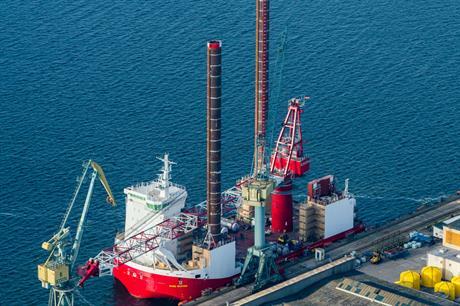 The vessel will be used to service the company's 1200 offshore wind turbines across projects in Northern Europe. It is the first time Siemens has entered into a long-term charter deal for a vessel. Siemens says the deal will allow the reduction of lead time for projects. The new vessel will then be able to service the 600MW Gemini project. Siemens was handed the contract to supply 150 4MW turbines to the project being developed by a consortium, led by Northland Power.